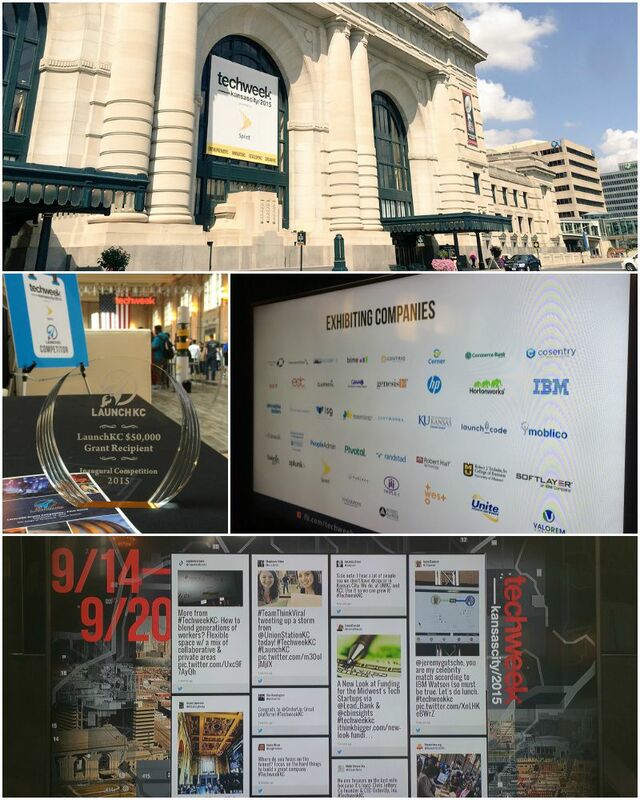 On Friday, September 18th, 20 startup companies came together at Union Station to compete in the first annual LaunchKC grant competition. 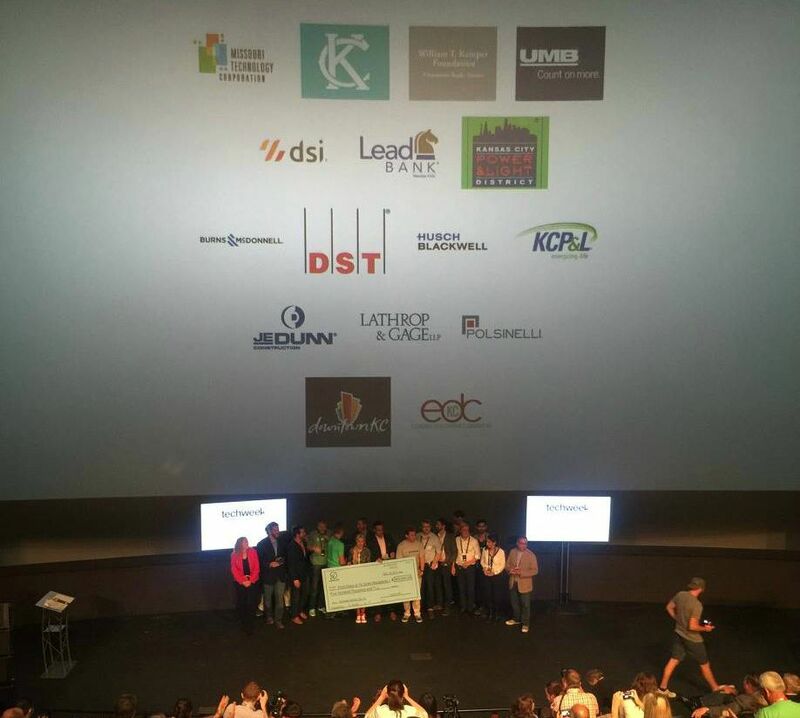 LaunchKC is a grants competition for tech entrepreneurs to compete for one of ten $50,000 grants, and a leg up in growing their businesses in Kansas City, Missouri. 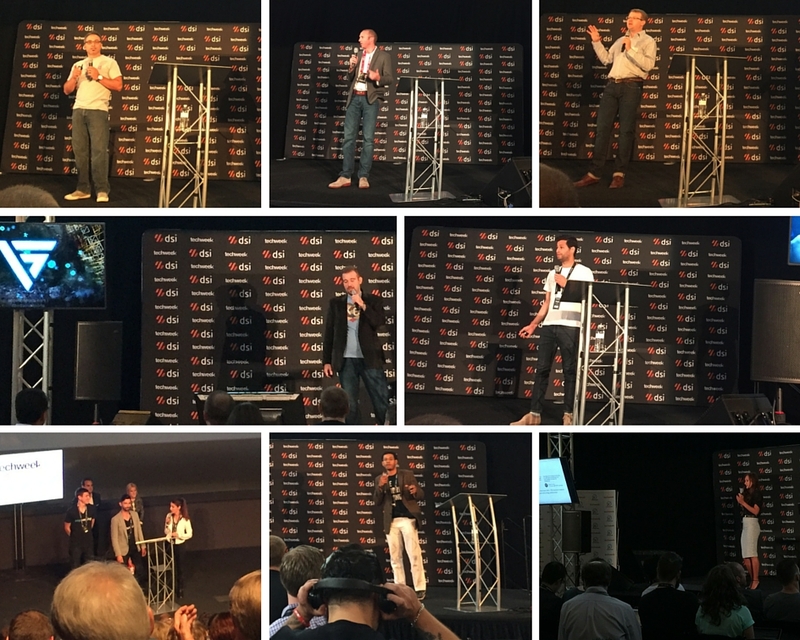 The 20 companies were vetted through an applicant submission process that took place from March 31st through July 2nd, and was marketed to startups all over the world. Each grant recipient will receive $50,000 and a network of support, including 12 months of free office space in Downtown; industry-specific mentor teams for each grant recipient; and opportunities to meet and learn from industry and entrepreneurial leaders in and around Kansas City – all designed to elevate their efforts to build high-growth, tech sector businesses and jobs in Downtown KC. More than 500 entrepreneurs from 17 states and eight countries applied for the LaunchKC global grants program, which is run by the Downtown Council of Kansas City in collaboration with the Economic Development Corporation of Kansas City, Missouri. 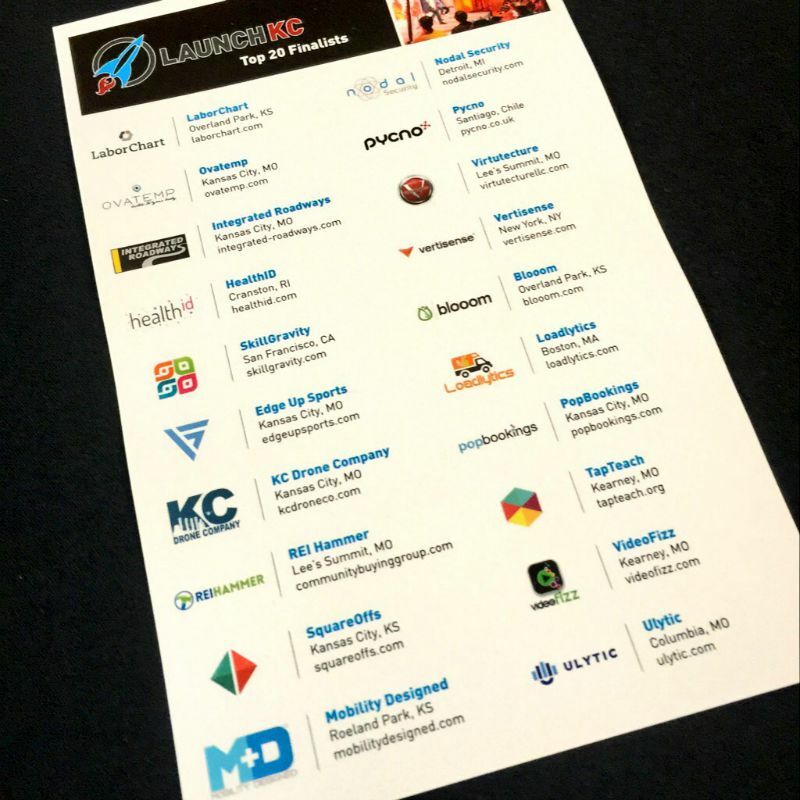 Following an extended application review process, 20 finalists were selected by a LaunchKC judging panel consisting of Kansas City business leaders and national venture capitalists from Techweek Kansas City. 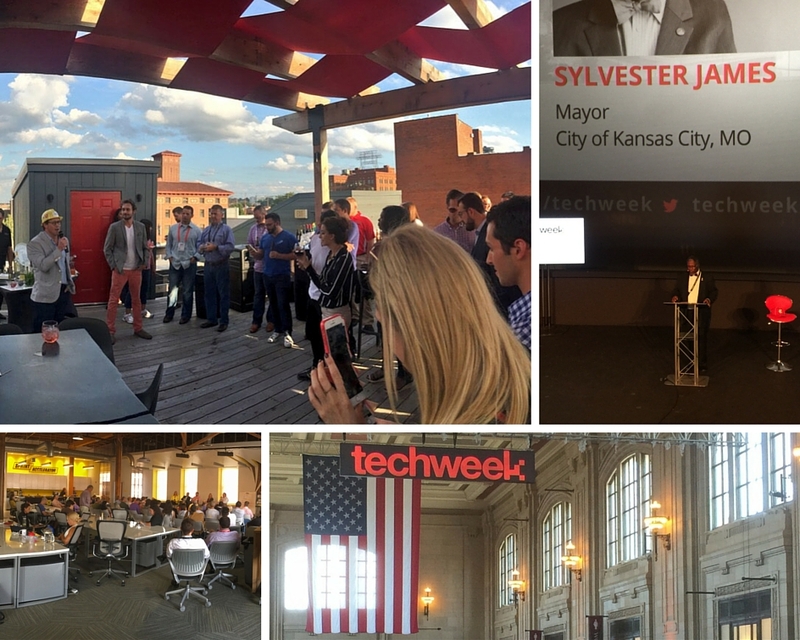 Techweek, the nation’s largest technology conference + festival, chose Kansas City in January to be its sixth U.S. hub for its unique and immersive blend of tech learning, collaborating and networking. Judges spent all of Friday morning hearing pitches and questioning the 20 finalists, as they worked to narrow down the pool to just 10 winners. Judges were tasked with choosing nine grant recipients, and the tenth grant was won by a public vote online – the People’s Choice Award. 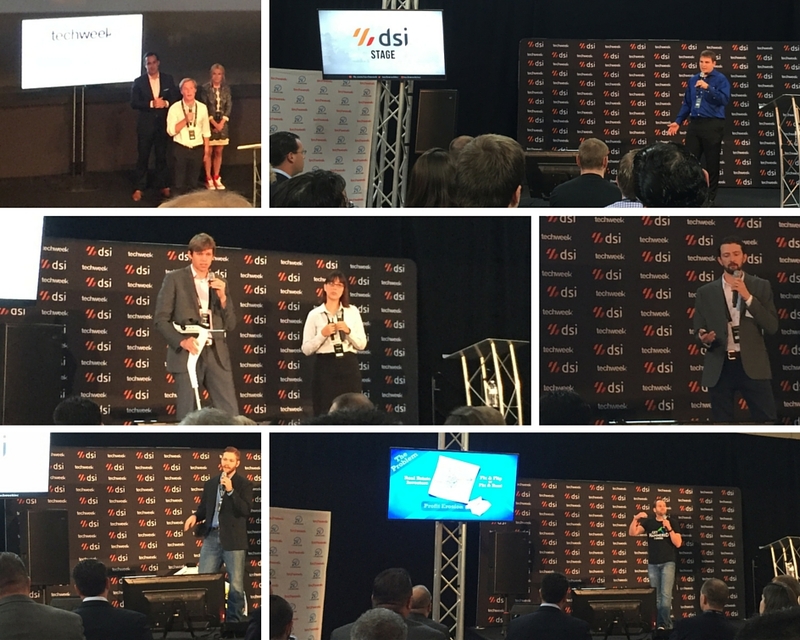 We would like to extend a BIG congratulations to all 20 finalists who worked diligently on their companies in order to secure a winning spot. We wish we could have awarded grants to all of you! 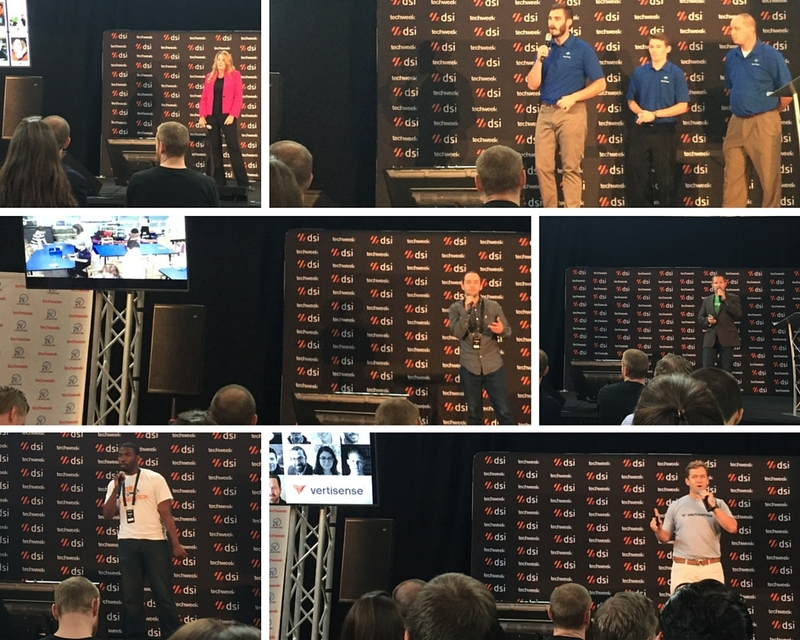 In the end, 10 winning companies were called to the stage one by one to accept awards they had worked so hard to obtain since March. We congratulate them on achieving this huge milestone! Over the next year, we will be following all ten companies on their journeys toward growth and success in Kansas City. We hope you will also follow along in supporting their efforts to grow, and help us offer opportunities that can spark more innovation. Blooom: Makes sense out of 401K information. People are confused and overwhelmed in terms of managing their investments and Blooom provides clarity to the masses. Bloom is available to anyone that has a 401k or 403b, regardless of where it is held. HealthID: Phase 1 bands. Medication adherence is a massive problem for pharmacies with nearly 75% of people this year along not taking their medication as prescribed. HealthID provides heathcare workers real time information about how their patients are taking their prescriptions. Integrated Roadways: Delivers navigation for driverless vehicles through Smart Pavement and wireless technologies. KC Drone Company: Veteran Owned and Operated. KC Drone is the only Drone company in KC with a FAA license. Right now they are targeting farmers who use a lot of expensive chemicals to treat their crops. Precision maps and data are uploaded directly to farmers applications. KC Drone is a current vendor for 3 Fortune 500 companies. Nodal Security: Every professional works from home some or all of the time. Current tools securing corporate networks do not translate to the home. Nodal Security delivers a device that provides network security that is cost effective enough for every employee’s home. Pycno: Based out of Santiago, Chili, Pynco is reshaping the future of agriculture. They create tools which enable farmers to increase yields and use less resources. Farmers can put Pynco sensors into the ground and measure temperature, moisture levels, etc. The sensors alone are expected to generate considerable data for farmers that can help them make decisions. *PEOPLE’S CHOICE: Popbookings: PopBookings is an online tool that facilitates communication between promotional agencies and their best brand ambassadors and promo staff. SquareOffs: Polls have not changed in 20 years. Consumers are taking these conversations to other platforms. SquareOffs brings publishers, bloggers and brands more engagement by having them “Square Off” using the SquareOff’s poling app. Vertisense: Develops connected sensor technologies that monitor and accurately track blood alcohol levels. Personal Wellness, mobile fleet, and healthcare are the markets that they have already touched. Alcohoot, Vertisense, Project Plus+ are the respective names of each of their platforms. Video Fizz: Makes it easy to bring your friends and family together for a one of a kind gift. Personal communication happens inside the app where friends are asked to take a photo/video and add it to the collage of other videos/photos and sent to a friend as a gift. You can choose from a variety of formats and themes. Will there be a LaunchKC grant program next year, and in the future? “The purpose of this grant program is to provide a competition where Kansas City will be recognized as a viable player in the startup ecosystem,” says Drew Solomon, Vice President of Business and Job Development for the EDC. Visit LaunchKC to learn more about the grants competition and supporting sponsors.